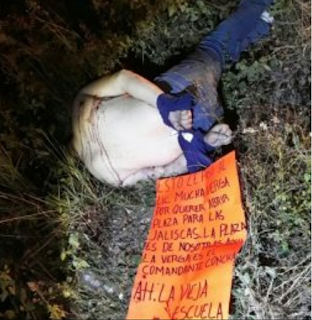 Veracruz authorities have confirmed, that a body discovered, is that of Reyes Andrés Izquierdo Velázquez, 46. The body was abandoned in the undergrowth at the La Tinaja-Cosoleacaque junction, in the municipality of the same name. Izquierdo Velázquez was the Inspector General for the Federal Police in Jalisco. 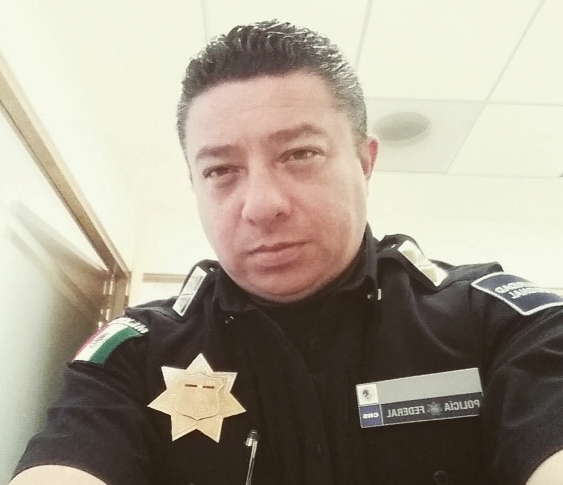 He was also the chief of the legal department in the Jalisco Coordination of Federal Police. The victim showed signs of torture and was shot execution-style. Next to the body, authorities also found a cartulina narco message, which accuses the attorney, of wanting to open the plaza to their Jalisco rivals. The first investigations of the Prosecutor's Office of Veracruz indicate that Izquierdo Velázquez, went to his daughter's 15th birthday party on Saturday and upon leaving was intercepted by several heavily armed individuals. The gunmen tied his hands behind his back, then tortured him and finally shot him at close range five times. Old school Zetas I assume. Eso se saca por andar ahi de caliente con Las Jaliskas. Pinchi chaquetero, what did he do to get the job EN Jalisco? There are more zetas cells than just cdn and zetas old school. Talibanes for example. 3:21 but, talibans do not exist! Delusional Mencho trying to take on old school Z and CDG Matamoros, not even if CDS helped them lol. La Vieja Escuela doesn't necessarily mean Zetas, the term "old school" in my opinion refers to Jalisco's old mafia guard. In this case its los zetas, CJNG has been fighting the old school z/matamoros CDG factions over control of veracruz. Your opinion is wrong vieja escuela are the old school zetas. pa que te inspires cuando lo respires. Yep you mess with the government, they will go full throttle and cartel members disappear you dig. Even high ranking officers are getting killed, time full force and kill cartel in the area. Otherwise they will continue to, get out of hand. Question: Why do people put the letter "N" at the end of their name? Is this the same Concha who is or was a regional boss for South Veracruz that was arrested back in 2012 ? Thats what happens if you sell your country to the narcos. First take then money then take the bullet. Military act fast, don't just sit back, and let you partners die to this no good for nothing cartel hoodlums. Idea! Grab Duarte and he will sing without torture (just scare him a little) but video his confession and post. Also maybe Eugenio as well...but for sure Duarte. They will tell the real story but video and post for the world to see! T. M.